A Friday evening, Saturday workshop running from 5-9pm Friday and 10am-6pm on Saturday. Tutoring this class together is a natural fit for Denyce and Liam, who were selected to represent NZ at the Glasgow Commonwealth Games in 2014 - not as sporting participants but as young performers charged with creating pop-up theatre to help the streets come alive during the event. Liam Jacobson started at Massive by attending an "Intro 14-25" class when he was just old enough to qualify. Since then he says theatre has become his creative outlet. "I was that kid who couldn't shut up and was always wanting to be the centre of attention, so I just took to it from there." 'Taking it from there' meant becoming a core member of Massive, and performing in 'The Island' in 2016. 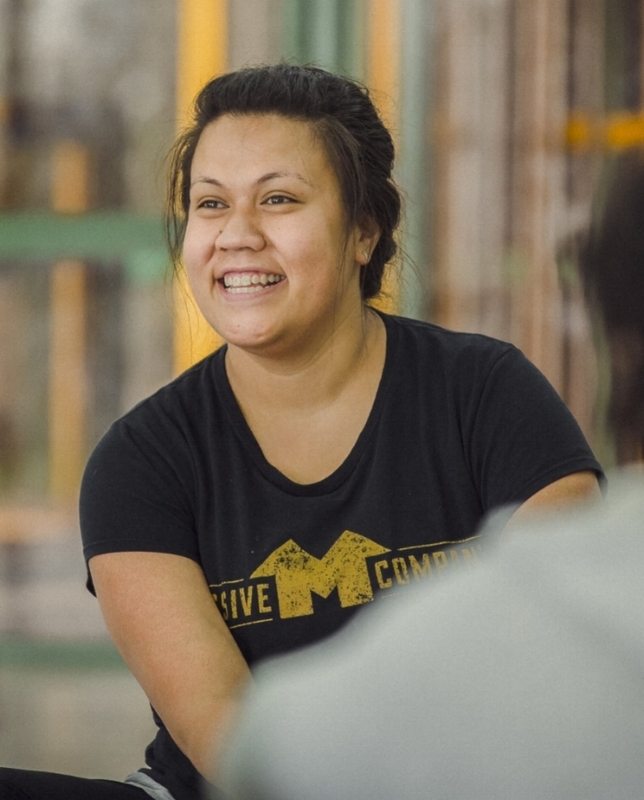 Denyce Su'a is currently working with Massive as part of the writing team for the 2018 show 'Sightings,' which will premiere at Q Theatre and then travel to Forum North in Whangarei, before returning to be part of the Going West Festival. Her first show with Massive was The Wholehearted in 2016. Work outside of Massive includes a performance at the Comedy Festival in 2015 - a gig which would qualify anyone to do anything which requires guts!